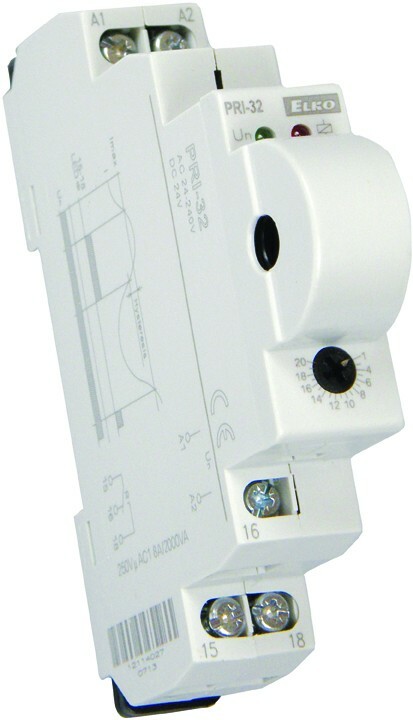 Current monitoring AC 1 to 20A adjustable. 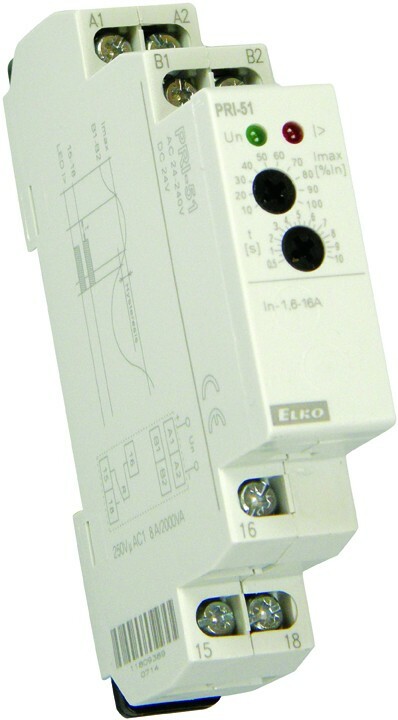 3 inputs (0.4-1.6A, 1.25-5A and 4-16A) in 3 ranges. 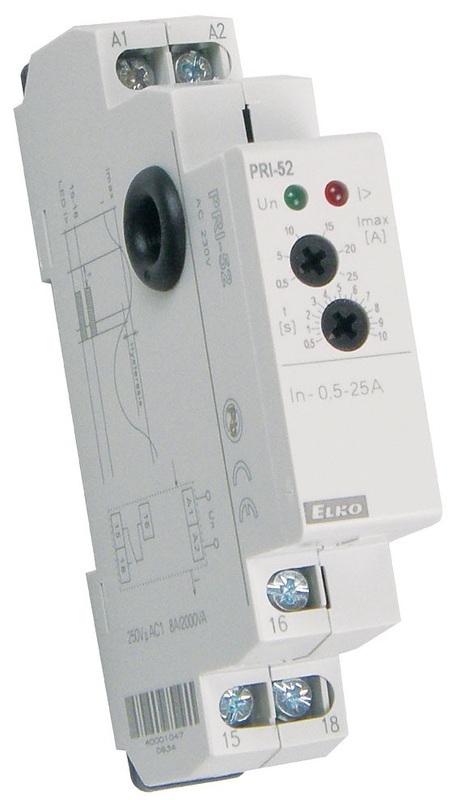 Same as PRI-41 but with function "Window". 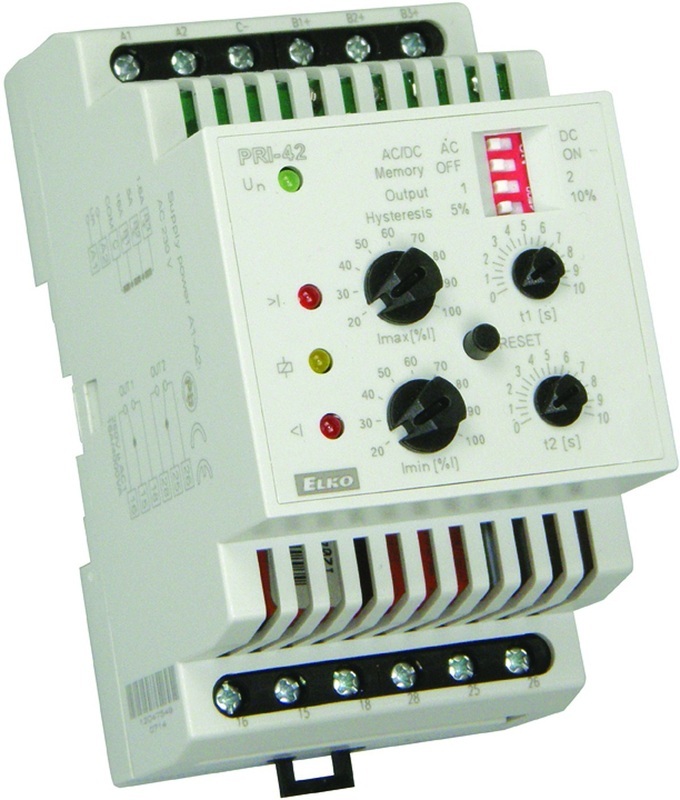 Monitoring of current for 3-phase devices. 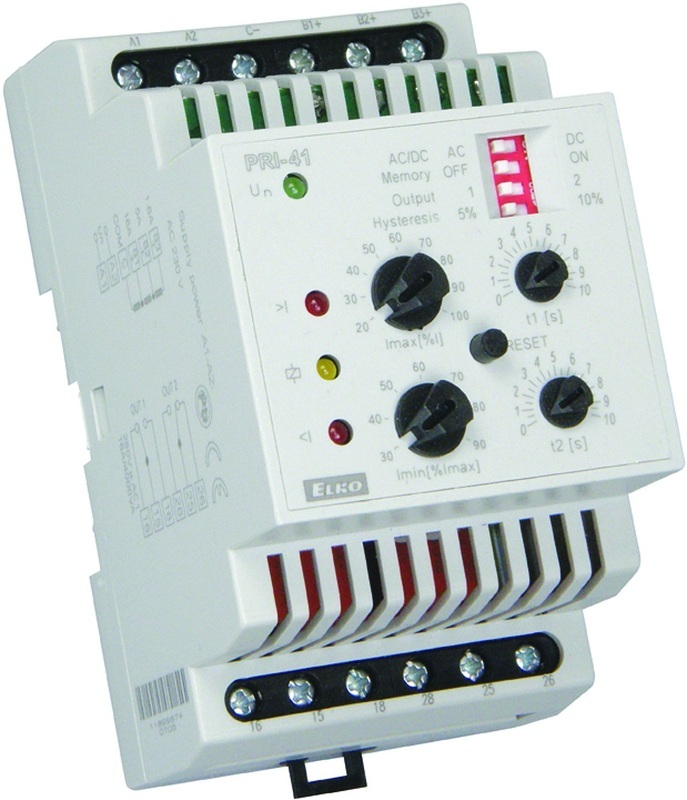 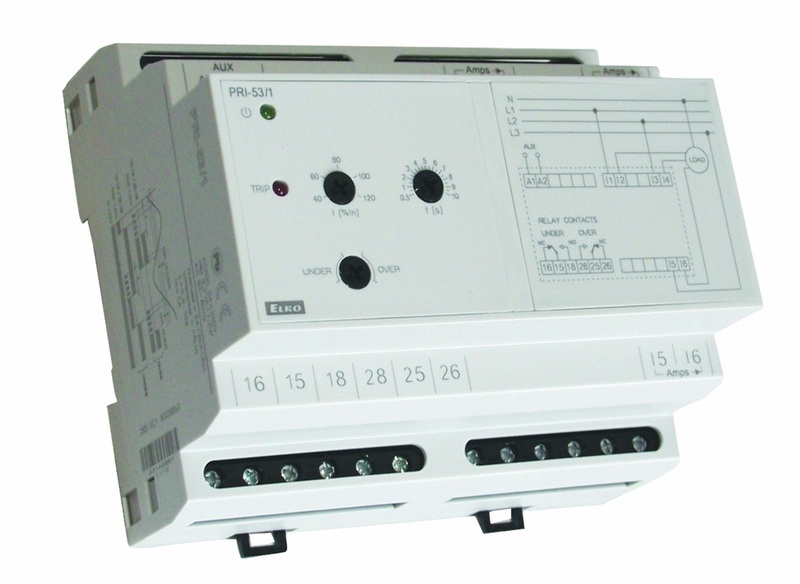 Adjustable under and over currents and delay levels.